A dependable vehicle is one that is safe to drive and rarely needs a mechanic. Here’s a list of SUVs that we think top the list in terms of dependability and are, therefore, worth investing in. 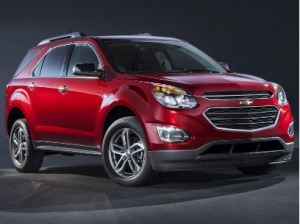 A five person crossover SUV, the Chevrolet Equinox is a little bigger than a compact and is comfortable for everyone to ride in. Despite its great design and generous cargo space, it is less expensive than most SUVs in the market. It has a great gas mileage as well. If you’re interested in a little more power, it has a variety that comes with a 6-cylinder engine. Though not as reliable compared to the other in the list, the Equinox definitely has some great features and it’s still coming in at higher than average in terms of dependability. That means you can still trust it to get you pretty much anywhere you want to go and you can do it with plenty of space. 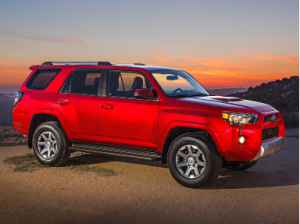 The Toyota 4Runner may look a little boxy for the average person, but if you dig traditional sporty cars, then you’re going to love it. Though intended for a lot of off-roading, it’s definitely going to work for some standard driving as well. Who doesn’t want a car that can do a little bit of both? Along with all of this is some decent gas mileage, crash testing results, and safety features. It’s mostly just a dependable vehicle that you won’t want to miss. The 4Runner is a moderately priced option, not real high but still higher than some of the other SUVs in the market. You can opt for a five passenger vehicle with a moderate amount of cargo or a seven passenger that’s going to take most of your cargo space out. 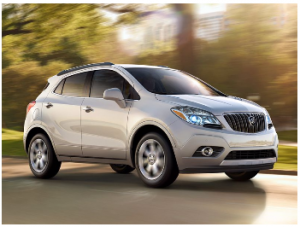 The Buick Encore is considered a subcompact crossover SUV which basically means that it is smaller than a traditional SUV (or even a traditional crossover). Most people didn’t expect a whole lot when this vehicle first came out but they’ve definitely changed their tune as the vehicle continues to impress with its looks and quality. It has a smooth design that’s definitely easy to recognize and love. Despite its size, it still sits four people and has a decent amount of cargo space so you can easily carry along anything you need. Its crash test ratings prove that it is extremely safe for your entire family, no matter which seats they’re seated. With this vehicle, you get a somewhat larger SUV that will comfortably seat five people. Its back seats fold to give a reasonable amount of cargo space. It also has a good gas mileage and doesn’t need a lot of maintenance or care to provide you with a whole lot of safety benefits, ranking extremely high in the standard safety and crash tests. 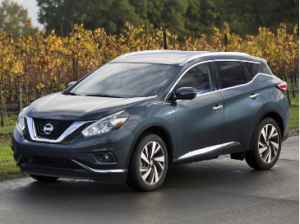 The Nissan Murano may look a little different from the standard SUV, but it’s definitely going to be worth those looks when you feel how it drives and when you get a chance to really experience all those added features for yourself. 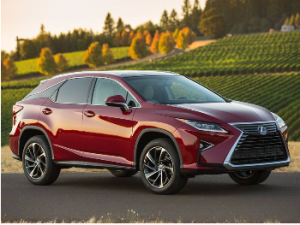 If you’re looking for a bit of luxury and a decent amount of dependability, you’re definitely going to want to have the Lexus RX. This vehicle is considered a crossover SUV, capable of holding five people while holding a decent amount of cargo at the same time. Its hybrid version also offers a good level of gas mileage. With a top safety pick rating, you’re going to feel confident driving in this one with your entire family. 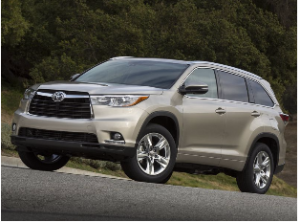 The Toyota Highlander is more expensive but it is a 3-row vehicle that will hold up to eight people. Obviously, it is the most generous in the list when it comes to cargo space. It has some top safety pick ratings and a decent range of gas mileage to get you and your family wherever it is that you wish to go. 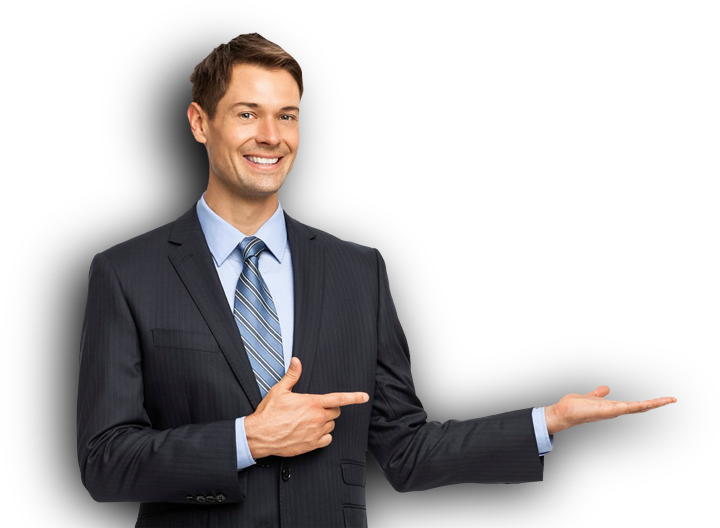 The great thing about this vehicle is that it’s going to give you a great range of benefits for the cost. You’ll get a little of everything and you’ll get it with the high level of passenger capacity that many parents are looking for. That’s definitely a winning situation for just about anyone.